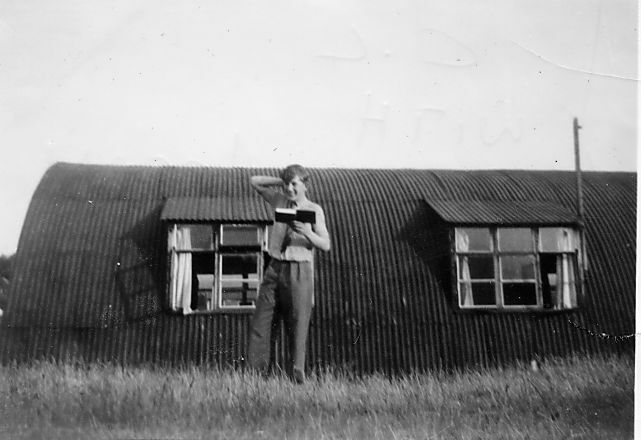 It was suggested that a model should be made of a nissen hut dormitory - before those of us who lived in them (and can remember what they were like) shuffle off this mortal coil. Construction can't begin until detailed drawings of the structure, furniture and fittings have been produced and this will need research using input in the form of photographs and remembered facts (those that can be remembered after 50-odd years!). There is already much useful material scattered around the web site and it will be consolidated on this page. Very many thanks to those who have already given this a lot of thought and sent in a mass of useful details. The Archive Sub-committee has advised that most of the detail required to build the model was now published on WCRemembered. The proposed scale was discussed and the possibility of TWO models; ONE open showing inside and furniture, and ONE showing outer structure. Melvyn Roffe advised that the footprint of a 1/24 scale would be to large at 1.78M L x 0.305M W x 0.152M H and that a smaller gauge with a single model only showing outer structure on one side and inner detail on other would be acceptable. Further progress will need volunteers with the necessary skills and tools to develop more detailed working drawings and perhaps (it has been suggested) a 3D 'virtual reality' simulation. Volunteers will also be needed subsequently to make the component parts. If you would like to be involved in design and/or construction, please get in touch. Barry Hipwell has kindly offered to have a go at this project for us and you can see his progress so far on the Facebook page he has set up. These drawings are in the form of PDF documents that use free Acrobat Reader software - chances are that it's on your PC already. Click the images to open the files. The drawing has been scaled to fit A3 paper (I wasn't one of Dave Goman's boys - as you can probably see!). This is very much a 'straw man' effort, so please feed in your recollections, comments, sketches and perhaps photos - anything to increase the accuracy and add detail. They will be consolidated below in the Feedback section. There were differences between the dorms, certainly as far as furniture layouts were concerned, and the end room was used for overflow in some cases, however it should be possible to come up with a generalised representation that doesn't offend too many people! Side windows were 6' x 4' and those at the ends were 4' square. Support member spacing was 6' 0.5"
Huts were painted black. The ends (wood) were creosoted to a very dark brown. 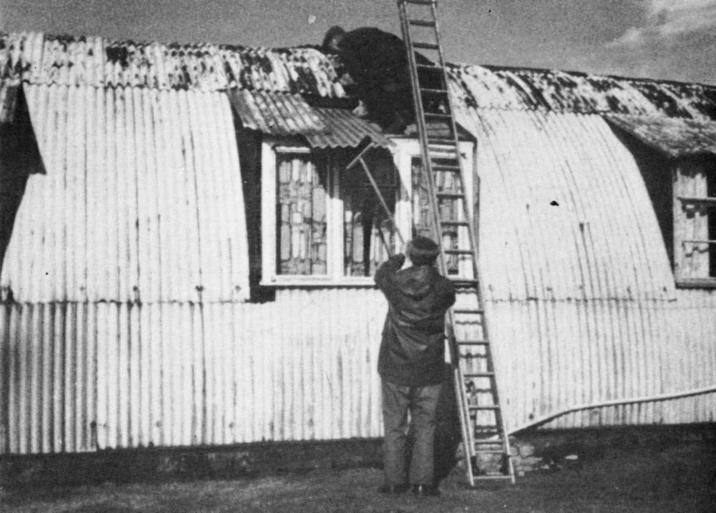 Corrugated iron ridges are at 3" spacing, with a depth of ⅝"
Double doors were fitted at both ends originally. Later, some were reduced to single doors and others were blocked off completely. Three widths of corrugated iron sheet were used for each 6' section. There were 23 sections per full-size hut. Seven sheets were used to complete one hut semi-circle. Each hut has what looks like a side door just off the covered way, with a pipe duct, topped with concrete slabs, running into it. The main toilet area had a continuous run of windows so that overhead cisterns could be fitted in the toilet cubicles. Bath mats were brown cork rectangles, approx. an inch thick. Maybe 2'6" x 1'6". 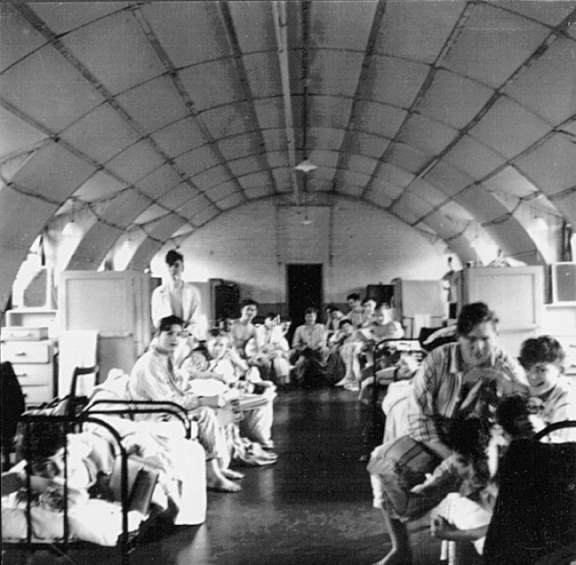 The usual arrangement was to have beds in 'quads,' with two pairs at the far end on each side. 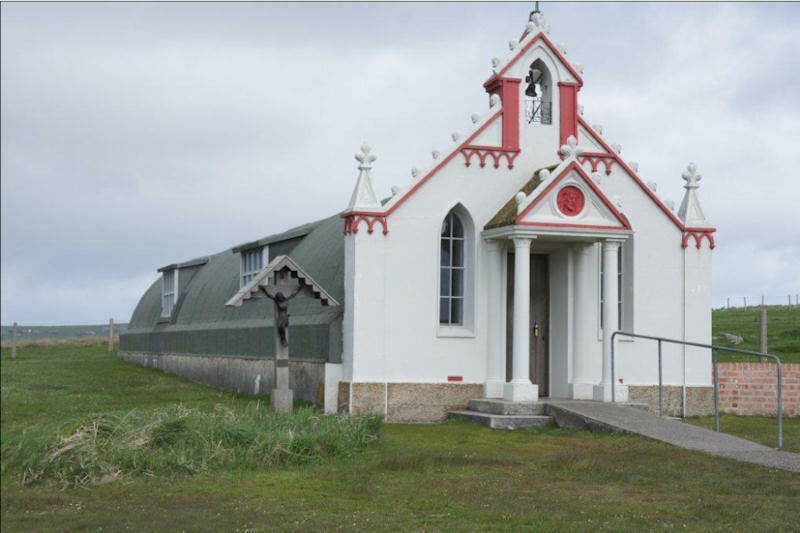 Counterpanes were ex-Royal Navy with a 'fouled anchor' design, in faded blue and white. We're very grateful to Peter Woodyard for the following two photos that relate to his Naval apprenticeship at HMS Fisgard in the 1950s. "The counterpanes are all showing the white anchor side. The other side was the blue anchor side which was for everyday use!" Lighting cables - single wires run through cleats or in conduit. 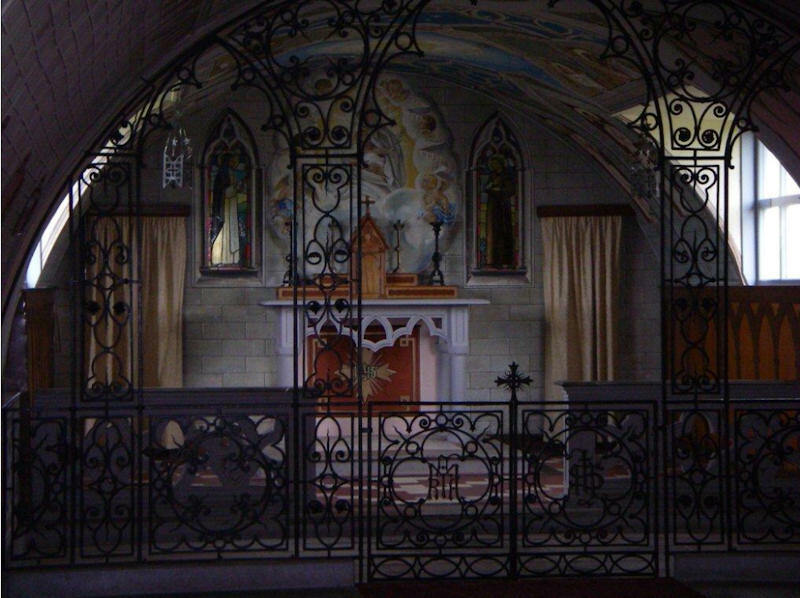 There were at least 3 different bed designs, in cast iron, painted black or grey. Wardrobes and chests of drawers were wartime utility issue, painted a pale green. We each had a tiny bed-side mat and the floor was brown lino. 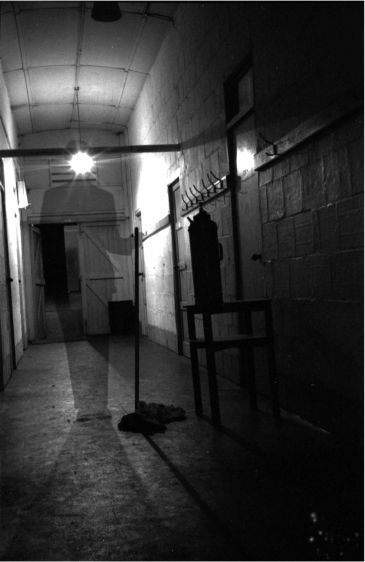 The lights at the side (complete with pull-switches) were positioned originally over the hospital beds. A pair of overhead pipes (purpose?) ran the length of the dorm. Larger diameter heating pipes (one or two) ran along the sides. Interior walls were made from cellular/breeze blocks or conventional bricks. Along the side of the hut, first room was "case room", only end window, so no side window. Next was "shoe room", a double section room as were all the others along that side. Each had a window section and then a curved wall section, with door opposite wall section. 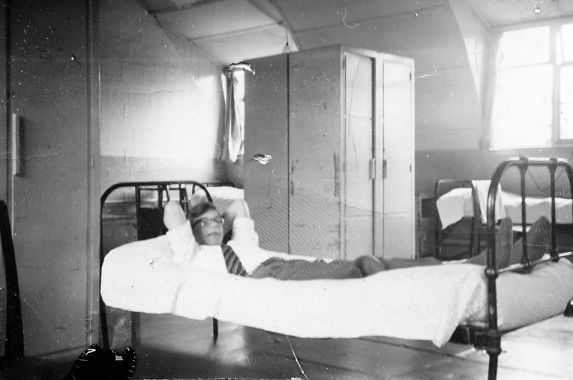 Next two rooms were either used as a bed and sitting room by a staff member or as prefects common room and bed room for two prefects, and the last one, nearest the dorm. 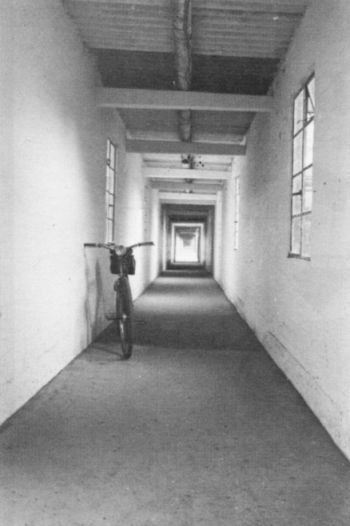 wall, was usually used by the matron with the one on the other side of the corridor as well. Moving back on that side was the washroom, with three toilets, urinal (at least in the boys dorms! ), three wash basins and a shower. Next was a bathroom and toilet usually used by matron, then the drying room with wooden racks, then two bathrooms with, I think, two wash basins in each. The wash basins were on either side of the last dividing wall so the bathroom at the end only had an end window, immediately over the bath. Each boy had a bed, head to the outside wall, then about two to three feet away but facing the bed were a locker against the wall (remember the walls curved inwards so shortest near the wall), then a chest of drawers with a mirror, and then the wardrobe, all painted bright green. 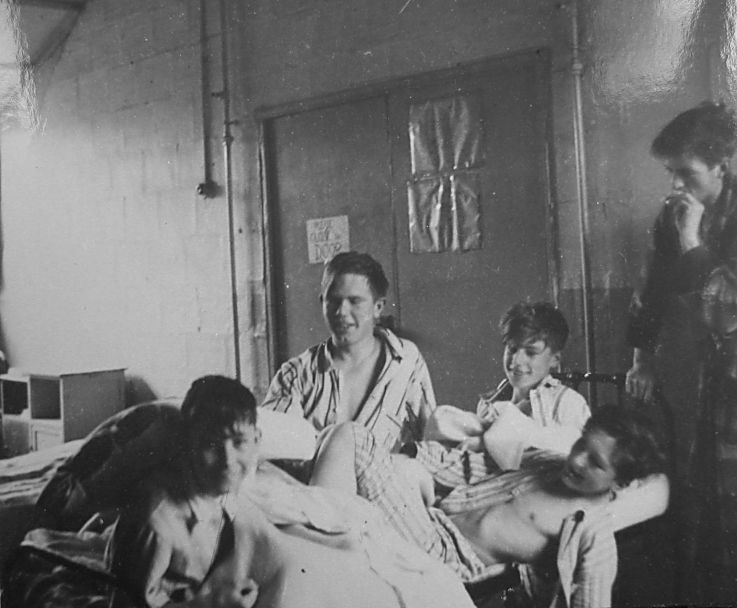 Then at the back of said locker, chest and wardrobe was the next bed, so each person had their own cubicle. Later it was done in blocks of four, four beds arranged along the dorm, two against the wall, two near middle pathway, with a chest and wardrobe between the two bed heads and shared between the two people. I think the lockers were then placed at the top end of the beds, either against the wall or facing into the central pathway. 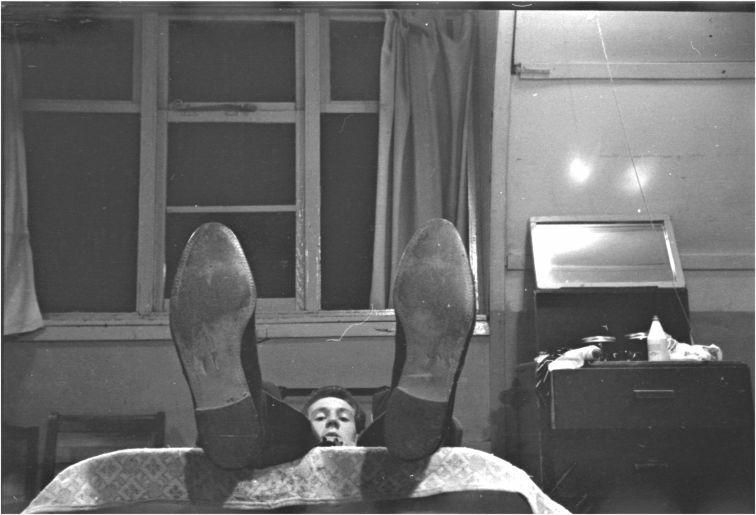 The floors of the main dorm area were covered in brown lino, polished regularly by the cleaners. 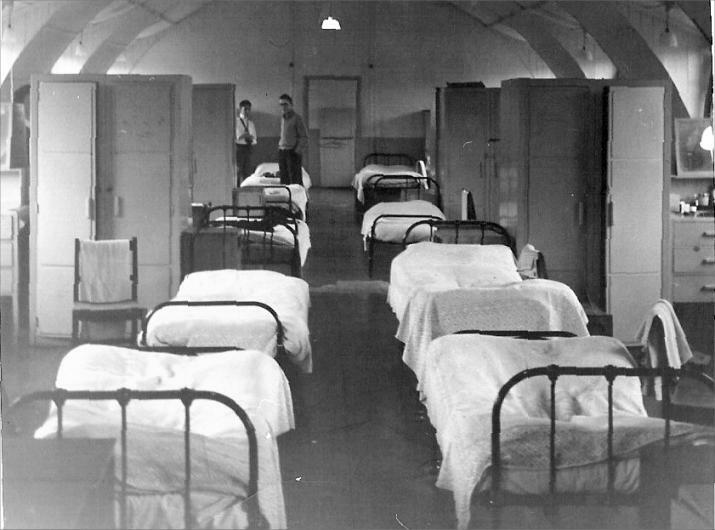 End rooms were recreation spaces or were used for overflow accommodation. 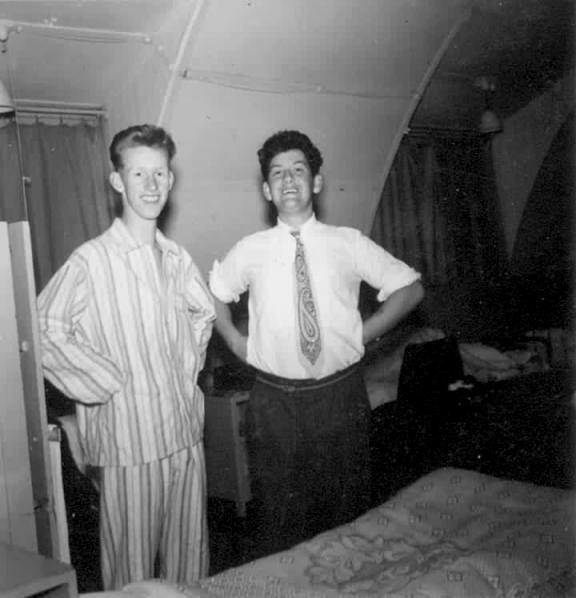 Each boy had a bed, chest of drawers with mirror, side table ( located between the heads of the beds ) and a wardrobe. 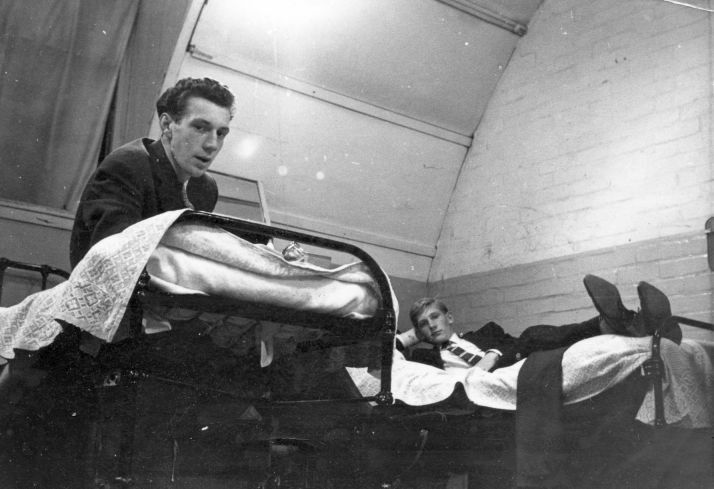 The common rooms were originally filled with chairs and sometimes a table tennis table, but later became sleeping areas as they crammed more boys in a dorm. There was a shower (single) to the right as you entered the 3rd loo and 3 sink room. 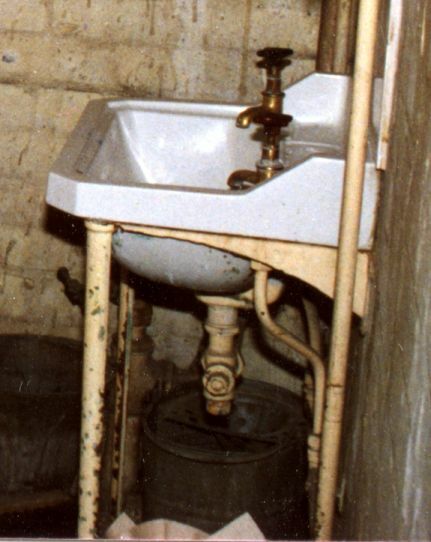 Perhaps some of the original sanitary-ware still exists in the surviving buildings. There were pipes for hot water, cold water, heating (separate supply and return) and waste. Toilets were of elevated cistern type but, in truth, at a younger age anyway, I used the bathrooms & washbasins as little as possible! My overwhelming impression is of exposed services - way before the Pompidou Centre and Foster et al jumped on that bandwagon - and opaque 'prison windows'. Presumably the model will be kept at about 36 degrees Fahrenheit (none of this centigrade nonsense) in order that viewers can acquire some of the hardihood and fortitude that we did! 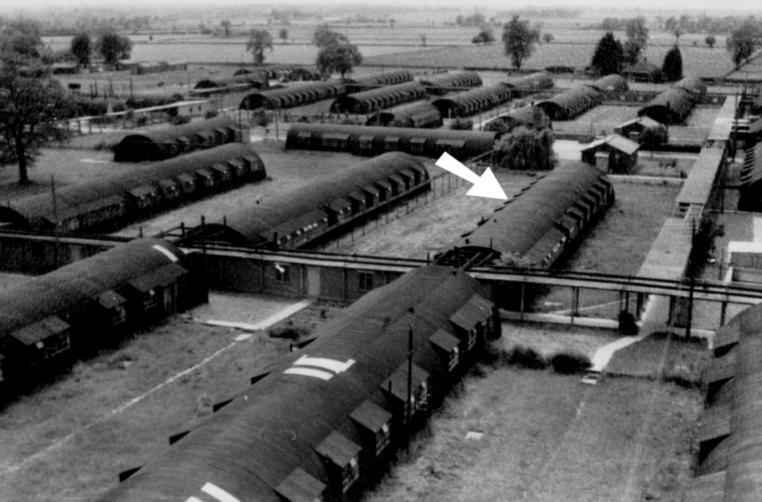 At the most minute detail, a high proportion of the beds should possess only about two-thirds of the wire 'wishbones' around the periphery of the mattress support system (such as it was). These formed ideal forks for mini-catapults when a 'paper pellet' craze was in full swing; the beds of protagonists were known to become virtually unusable during such a time, and 'spare beds' were occasionally rendered inoperable for all time! Yes, there was a lot of plumbing. 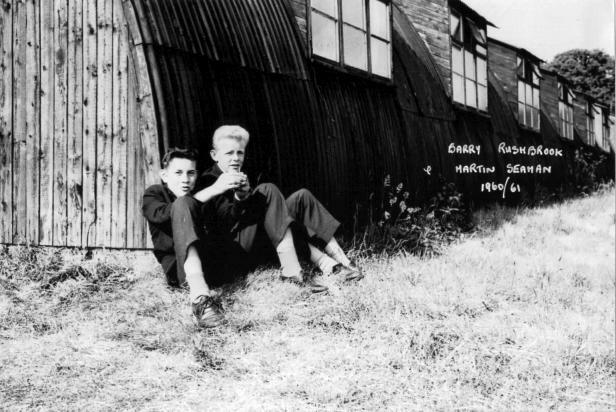 It reminded me that before I started there, I went to some kind of open day c1956 with my mother and aunt, whose son, my cousin Rodney Cook, was then in the 5th form. I said I wanted to go to the laboratory, but in ignorance pronounced it 'labatry' and Rod escorted me to the bogs! It took a few seconds for me to realise, after the initial impression of a lot of pipework, that it wasn't the place I wanted to go! It certainly was cold in winter. Our common room in the 'Club' only had little coke stoves and the lower ranks couldn't get very close for the crush of seniors. That's a great memory of the catapults and I'll make sure it's preserved for posterity :-) Just shows what a resourceful bunch we were. Coke stoves? It seemed to me there was only ever one. But latterday perception and factual accuracy may part company here - a common enough historical trap. However, as I recollect it, the communal common room didn't exist at first, or, if it did, then it was only for the 'seniors'. 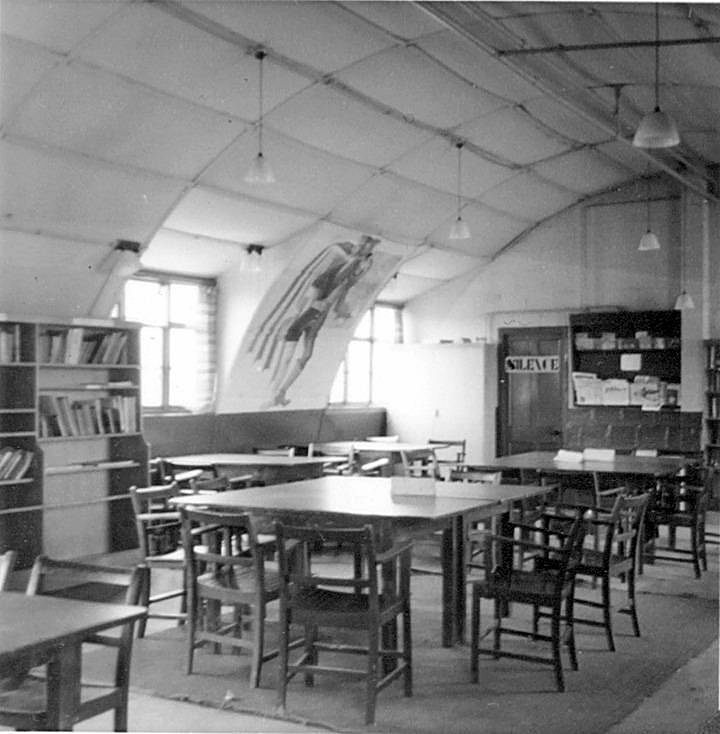 Your only 'common room' was the square one at the end of the dorm where, if you were lucky, there was a table-tennis table and/or simple 'card tables' where the quieter and cleverer lads (with their hands anyway) constructed model aeroplanes etc., whilst many of the rest of us wrote copious amounts of 'lines'. Anyway it was there that good and bad alike swigged appalling 'orange squash' with eponymous 'rock buns', or worse, at tummy-rumbling supper times. Then lights out. 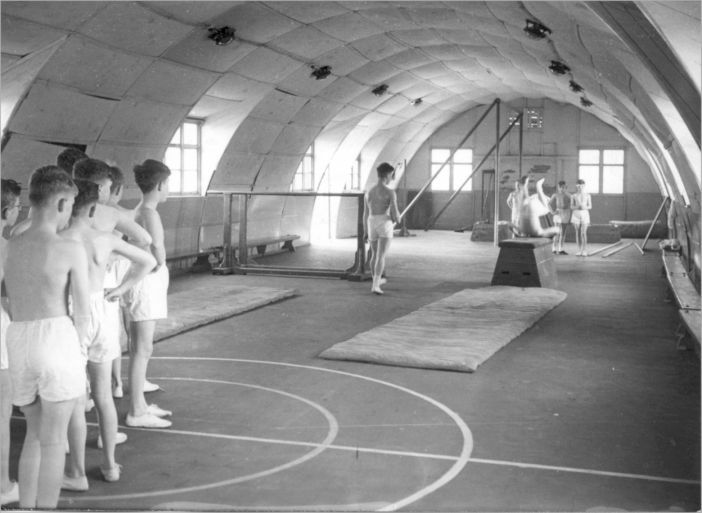 Swinging hand-over-hand along the lower central pipe in the roof's apex was a recognised competitive sport; though I suppose it's moot point if a nissen hut has a distinguishable roof. Yes, you're right of course! I think the stove was in the middle of the large room, to your left as you went in the door. There was also a brick fireplace on the west wall, with a Breugel print* hanging above it, but I don't remember a fire burning there. The 6th Form common room in the SW corner must have also had some form of heating. Looking at the old photos, the Club had several chimneys, including one in the table tennis room. There was a large stock of coke at the back of the workshops - large chunks that had to be broken down (as a punishment) by means of lengths of scaffolding pipe. When I was in 26 the end room just had chairs in it and, as you say, we would gather in there before bed time. In winter a couple of the lads would have to collect an urn of cocoa from the MDH. The two central pipes must have served some purpose or other - maybe hot and cold water for the end room in hospital days. There were T junctions at each end above the double and single doors. The PDF plan you attached to your e-mail looks pretty much as I remember the first hut I stayed in (26 I think but I could be wrong). I do have a vague recollection that there was a shower somewhere, though I don't remember where, and I don't think there could have been more than one or two as I do recall that bath nights (2 a week, I think, so we must have been a pretty smelly bunch though, of course, showers after PE and games would have helped) were just that - bath nights. If it wasn't where your plan suggests it might have been, I can't think where else it was. I do recall that Mrs Saunders, universally known as "Bag Saunders," had 2 rooms, one of which served as an office and outside which we had to queue to collect our pocket money (maximum 2 bob a week I believe) on a Saturday night. In her case it was the last room on the left before entering the dormitory proper. It also served as her son's living accommodation when he was not at university. The hut I stayed in also had, at the far end, a room without beds which was used for evening prayers but I have an idea that the occupants of one or maybe 2 other huts joined us for such mumblings so some may not have had the end room. Prefects occupied the 2 bedded areas nearest the doors - presumably so they could keep an eye who was going where and if they had returned (I went 'over the wall' on one occasion but got no further than the A11 before I was picked up!). I don't know if my (our?) hut was furthest from the boiler house but I do recall that it was always bloody cold - but then we'd kicked most of the lagging off the pipes. Now, of course, I see that the local kids have trashed the bus shelter and rant on about how pointless it is and that they are too stupid to realise that, when it rains, they too will get wet - and we were supposed to be brighter than the average! I am convinced that whoever thought up the idea of 'Grumpy Old Men' had witnessed me in full flight and been inspired. 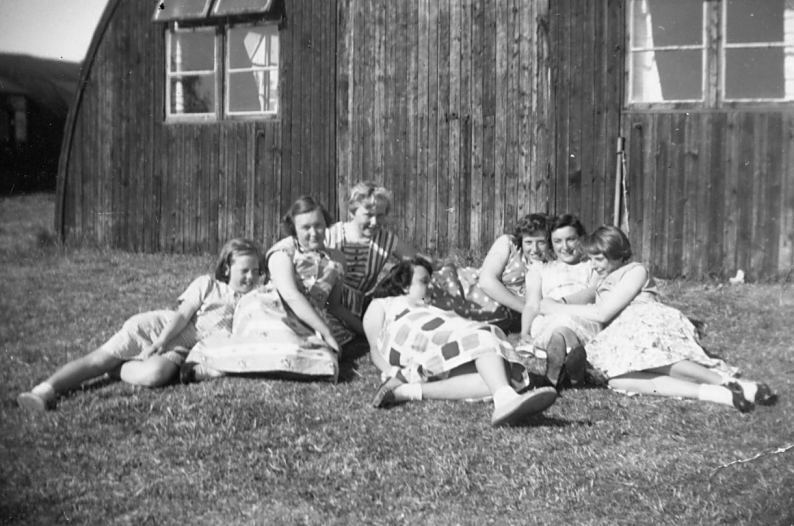 I also remember that we had the use of one of the chalets (I guess 'chalet' sounded better than tar-paper shack) as a common room but that the pot bellied stoves that provided the heat were, whenever they were needed, monopolised by the bigger kids. That did not, of course, prevent us from having to contribute to their comfort by being given 'coke bashing' in punishment for committing some minor offence. I'm sure that you were in 26 with me 1958/59 when you were in the 2nd Form and I was in the 1st. My bed was 4th on the right in the aisle when entering from the corridor. 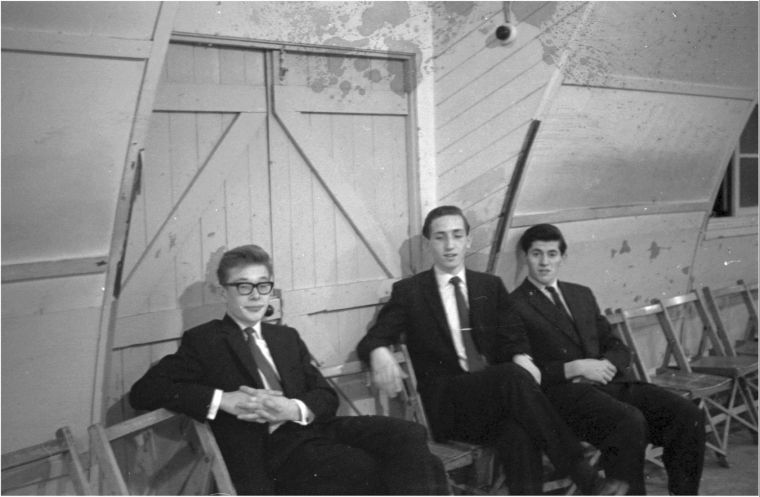 Next to me against the 'wall' was Robert Mapes of the U6 and the other prefect, Everitt, was back near the double doors on the left. Can't remember other specifics, but fellow inmates included yourself, Chris Beech, Dobey Soames, Les Abbatt, Billy Rutland, Wally Gowing, Steve Tanner, Peter Willimott, Trevor Dodd, Mike Hammond, Brough Porter, Grayson Johnson, Graham D. Smith, Jan Petr and Michael Hart (off the top of my head). I can remember the Old Bag chanting '26 boys in Dorm 26' so there must have been 10 or so more. Yes, I remember gathering in the end room for prayers and cocoa (or orange squash) and some kind of biscuit or bun. I don't think our end room contained anything other than a few chairs, but I know some other dorms had beds in there. Memories align as regards the Club, its stove and the coke-bashing (which I recall doing voluntarily to make people think I was 'one of the lads'). I think the stove was in the middle of the large room, to your left as you went in the door. There was also a brick fireplace further to the left on the west wall, with a Breugel print hanging above it, but I don't remember a fire burning there. The 6th Form common room in the SW corner must have also had some form of heating. 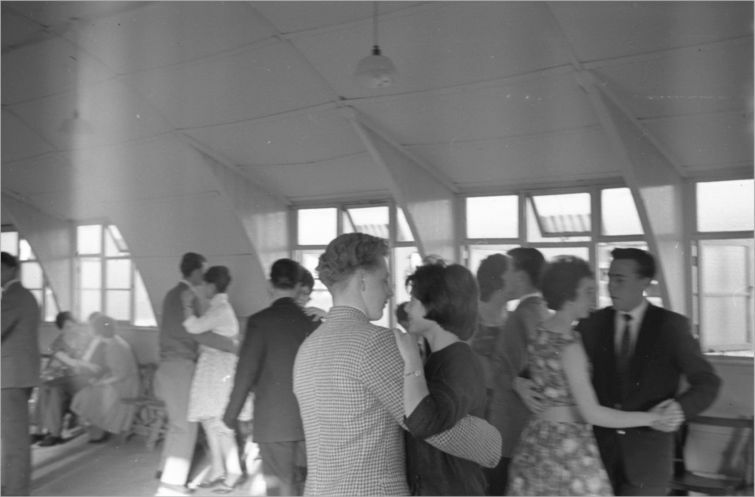 Looking at the old photos, the Club had several chimneys, including one in the table tennis room. All grist to the mill! That's useful info about Matron's sleeping/office arrangements. I'm amazed that you can remember so many names after all these years but I expect that your more extensive contact with ex-Wymondhamites means that you have been reminded of some you might otherwise have forgotten. I remember that my bed was about two thirds of the way down and on the left and I think that Chris Beech was in the same group of four. People you didn't mention but who I am pretty sure were in the same dormitory were Brian Hewitt, Ian(?) 'Mac' McNulty and the Ambertons (one was called Michael but I can't remember the other's name - perhaps you can). For brothers, they were remarkably unalike in appearance and, for that matter, personality. Michael was I believe the small fair-haired one whereas his brother, whose name I have forgotten, was tall and dark. 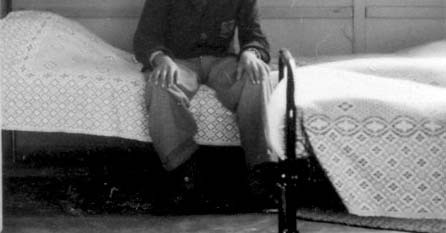 One of the prefects who did dormitory duty in our hut, though he may not have lived in it, was a chap called Mike Beardsley but that may have been in my first year and, therefore, before you arrived. One of the aforementioned (I won't say which for fear of the libel laws) gained fame, or infamy, because when, in the course of a fight, he was pinned to the floor by another lad sitting on his chest and kneeling on his arms, he extricated himself from the situation by sinking his nashers into his opponents todger. I've occasionally wondered how that was explained to Sick Bay staff! I don't recall who the other party was. Isn't it extraordinary what we choose to remember after 40 years! 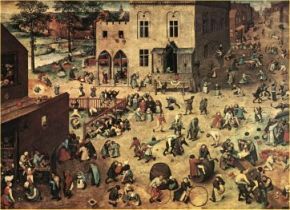 You are absolutely right about the Breugel print! 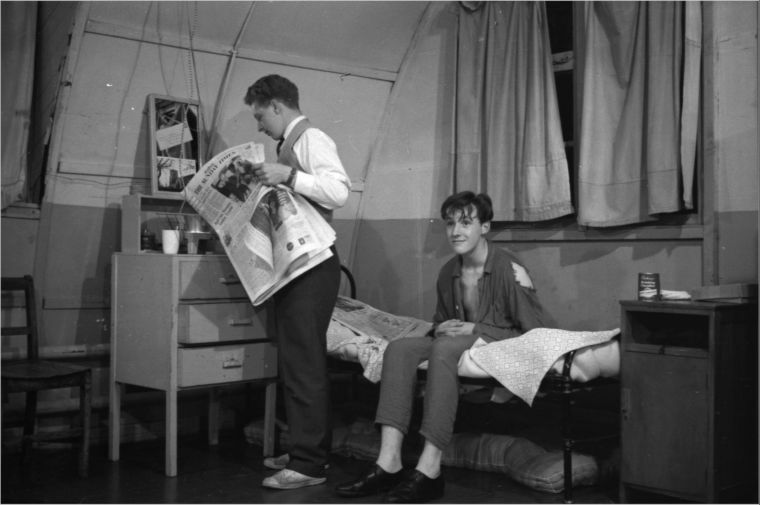 One of the photos of the dormitory, the one clearly showing the 4-bed spaces the lockers and the wardrobes, is exactly as I remember hut 26 though I had forgotten just how tightly packed we all were. No wonder I have a great love of wild, open spaces! Ah yes, Brian 'Slim' Hewitt was another and ... perhaps .... 'Waz' Arnup and Richard Vincent. Mac McNulty must've been in one of the brain cells I lost along the way! The Ambertons were a year behind me, but I think you were in the combined North/South Annexe with them and Beardsley (Mike or Keith?) after most of North went into Lincoln. John (now Jack) was the big chap and has recently retired as an Army Colonel. Michael 'MAPS' was also in the Army but sadly died a few years back. Next on right is matron's bedroom AFAIR...next room???? 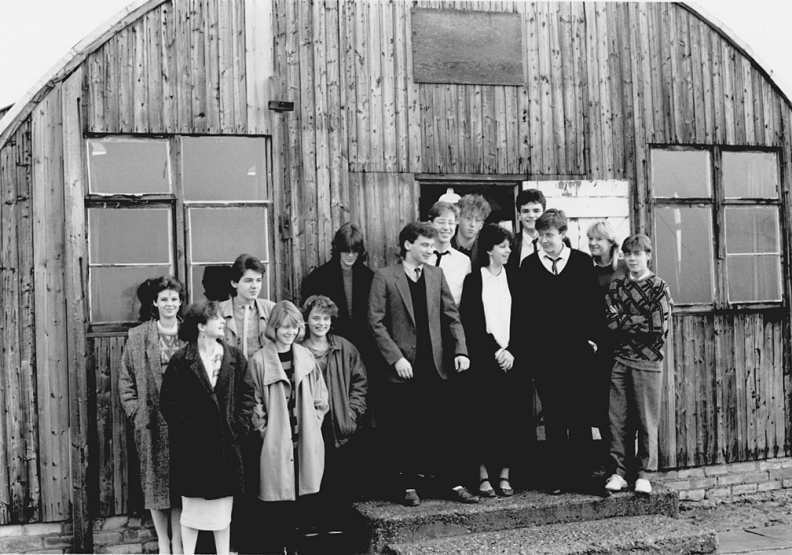 End room was always Sixth Form room ... six to eight people...I remember Flood and Warboys... doors never opened AFAIR. Your first (half Cubicle( is not right for 29 (I know as I was put into the first bed on left as you go in because I was reckoned a trouble maker!! Moi?) The chest of drawers was in the normal back to back position and the bedside cabinet was next to my bed! I don't know if we had chairs...I think we did. BTW the wardrobe door at the foot of my bed squeaked.... which fact led me (and the rest of the dorm) into trouble. The shower is right and the details of the side rooms is accurate! I had my head put down the pans too often not to remember...also mixed Brobat and Harpic too many times as well! Dusmo [was used] on Sundays for cleaning the lino! That's the 2nd tick-in-the-box for the shower, so I'll go firm on that. I've also found a photo to confirm three 'traps' in the bogs! You mentioned Harpic and Brobat - I think there were also tins of 'Gumption' (still on sale in Australia BTW) - a scouring powder paste that was used to clean the baths (remember the rusty water?). I would guess that the bed layout was different in every single dorm, so whatever the end result is, it'll be generic! If you have any distinct thoughts between Alzheimer periods, do please send a sketch. In 26 we had one prefect in the 2-bed bay by the main doors and another poor sod half way down in the midst of us against the side of the hut. Yes, we each had a chair - and a small mat I think, but yet to see one on a photo. "easy chairs (2 I think) coffee table, book shelf " - I'll add those to the list of fittings, thanks. Our end room contained a few chairs and was only used for prayers/cocoa/sticky bun just before teeth cleaning, pee and lights-out. All looks pretty good to me. Couple of comments tho'. 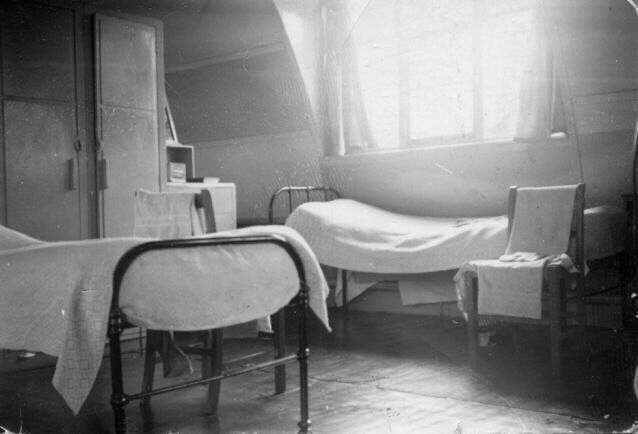 The two staff rooms nearest to the dormitory (at least in East House in early 50's) were the bedroom and living room of the matron or dormitory master. The other two were for house prefects - two to a room. Your bed layout also shows a later version. 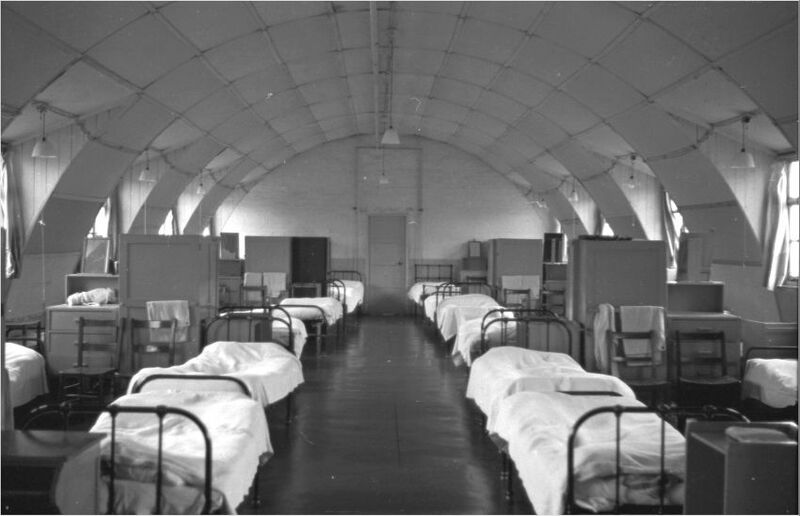 The original layout was with all beds with heads to wall facing inwards. This was very regimented and impersonal and was changed to the version shown about 1954 or 1955 I believe. 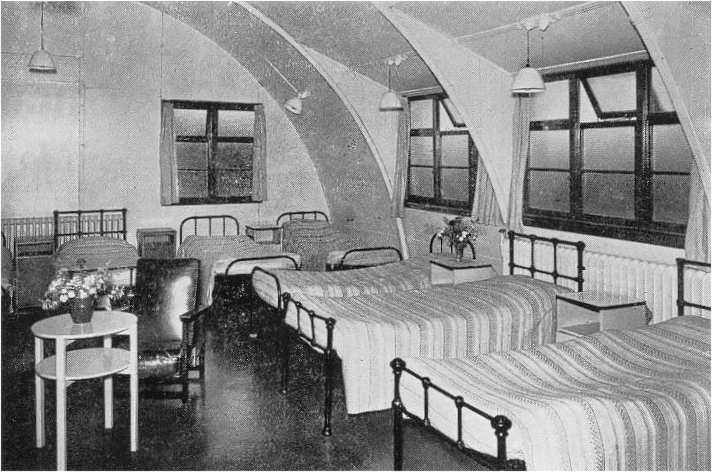 From the other responses it looks as if the Matron's rooms were pretty much standard through the 50s & 60s, but the other two side rooms varied in use by prefects or single members of staff. 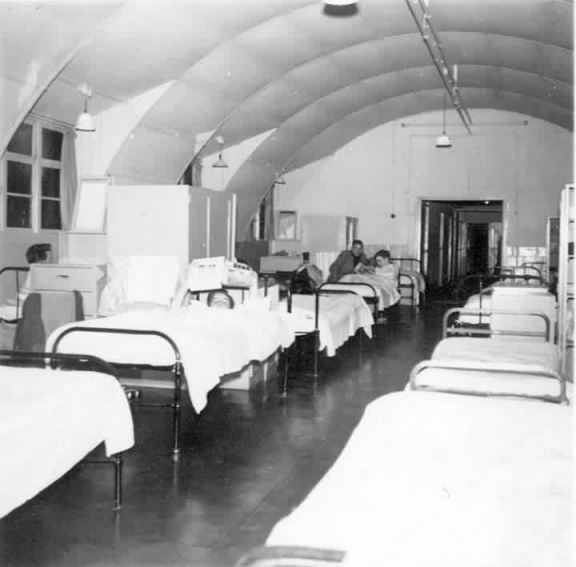 The photos that we have of the dorm beds must all date after the 1954/55 rearrangement into bays rather than the 'hospital' layout of heads to the wall. a) The doors to the main dorm open the other way ( onto the wall ). c) The staff accom was typically the room north of the staff bathroom, one may be their bed and one for their office. The other 2 rooms were for prefects or study rooms. If prefects ( or seniors) then 2 to a room with the same furniture. d) Remove question mark from 'shower'. I suspect the door swung the other way, flat against the wall, because I seem to remember youth running in and out of this area while others were in and out of the shower, just 5 minutes before breakfast !. The shower had a wooden slatted removable floor that sat on the concrete base. 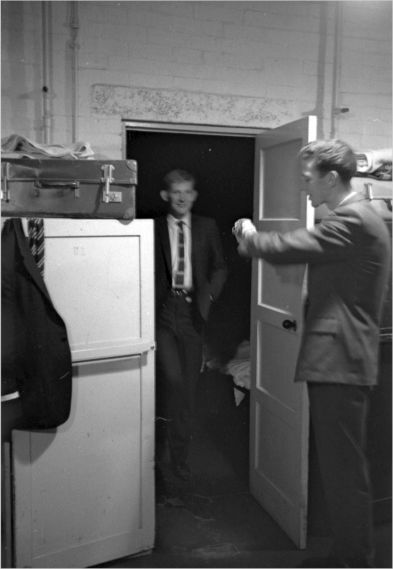 e) The drying room had a two level wooden slatted shelves all around the room, similar to a modern sauna...we didn't know we had it so good although it was a favourite meeting place and us "height challenged "chaps could sit on the top shelf. f) None of the huts I was in had such a big shoe cleaning area with lockers. What were the lockers for ?The door to that room from out side, I don't remember one but seem to remember someone figured they were there at one time. It looks great ....good luck with the project , hope you will put photos in WCR when done....glass top display or does one have to look thru the windows ? Don't forget the two pipes that ran along the top of the dorm room. I never got to stay up there long enough to know if they were hot or the cold return. Oh yes the trip up there was caused by blanket tossing on ones birthday ! The doors to the main dorm open the other way ( onto the wall ). Yes, I should have spotted that on the photos. Easy to change. The doors to the north rooms titled 'staff accom' all should open the other way (toward the walls ). Well remembered - I'll change it in Version 2. The staff accom was typically the room north of the staff bathroom, one may be their bed and one for their office. The other 2 rooms were for prefects or study rooms. If prefects ( or seniors) then 2 to a room with the same furniture. I think this is another area where individual dorms and the timescales were different. Remove question mark from 'shower'. Will do - thanks for the confirmation. I suspect the door swung the other way, flat against the wall, because I seem to remember a youth running in and out of this area while others were in and out of the shower, just 5 minutes before breakfast ! That's great - the correct door orientation can be seen in the corridor photo (again, I didn't spot it). The shower had a wooden slatted removable floor that sat on the concrete base. Very useful detail. I remember those things in the gym changing rooms. The drying room had a two level wooden slatted shelves all around the room, similar to a modern sauna...we didn't know we had it so good although it was a favorite meeting place and us "height challenged "chaps could sit on the top shelf. Again very useful. The representation of the plumbing is going to be a nightmare! We'll have to work out the routes for heating (the large pair that ran all round the dorm - not sure if there were rads in the side rooms) and hot/cold water. I think the former entered the hut through the shoe room and the latter came in off the top of the covered way. None of the huts I was in had such a big shoe cleaning area with lockers. What were the lockers for ? The door to that room from outside, I don't remember one but seem to remember someone figured they were there at one time. Could be another feature that changed over time. 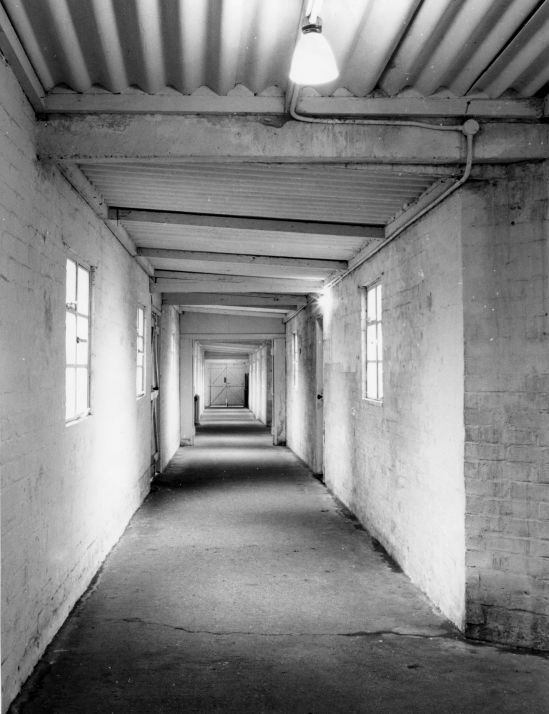 The corridor photo and plan from Roger Garrard align and I also remember it being quite large, with half inch mesh racks round the main walls, each rack aperture taking a pair of shoes/slippers or shoe-cleaning kit. There were chairs to sit on when cleaning shoes. The 'door' looked as such but didn't open and heating pipes came though next to it. One pipe (send or return not known!) was taken up to approx 7' and crossed the corridor into the drying room. 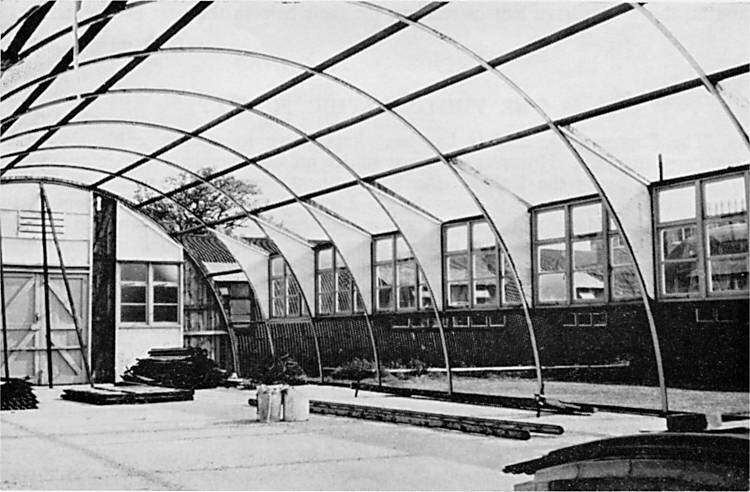 The notional aim is to have one hut with corrugated iron/side windows removed, covered by a transparent plastic semi-circle, and another parallel hut just correct in external detail - maybe joined with a bit of covered way. Collaborator David Spinks and I thought that removal of a 'lid' would cause too many wear & tear and dust problems. I think we'll end up going with 1:24 scale so the huts will be just under 6' long. Nothing's set in concrete though. Don't forget the two pipes that ran along the top of the dorm room. Yep - I'm assuming those pipes were H & C water, but Lord knows why they went down to the end room - perhaps there were sinks in there originally. Harking back to the staff accom door orientation - it appears from the corridor pic that the door nearest the shoe room was hung on the left (when looking at it from the corridor), so pro tem I'll keep that one the same and change the other two. 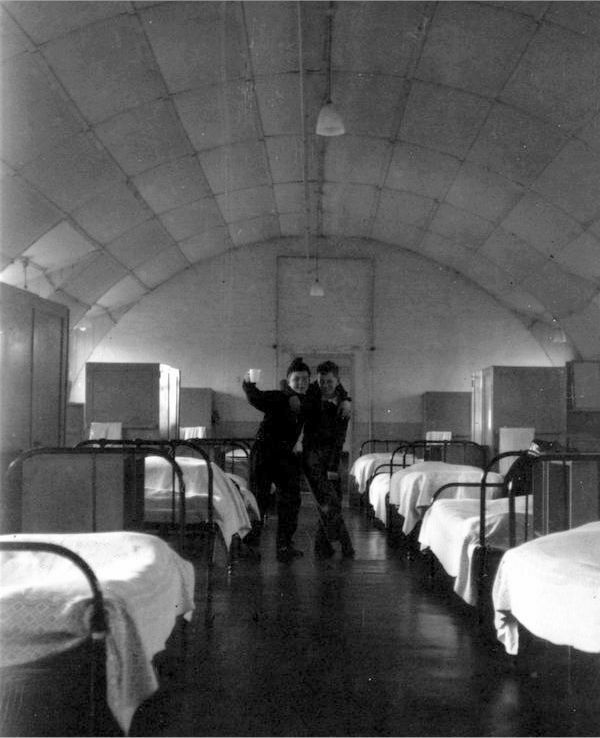 End rooms were recreation spaces or were used for overflow accommodation. 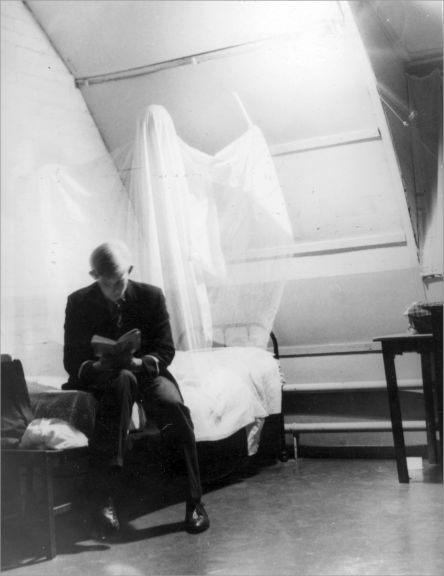 End room of 26 in 1951 was indeed recreational. I can confirm the cocoa and a so-called orange squash as supper time 'treats'. The squash bottles were quite useful as hot water bottles. I remember however having to complement this by draping the coconut matting over the bed for added warmth! Another feature was the small fold up tables with a lino type top which curled at the edges. Eight of these when placed together would provide a table tennis table. Hitting the joins was a legitimate tactic adding another dimension to the game. Coconut matting was it? I can't remember the mats at all. The squash bottles will be about half an inch tall at 1:24! I could send you some full scale roofing iron as NZ houses had little else on roofs for many years! 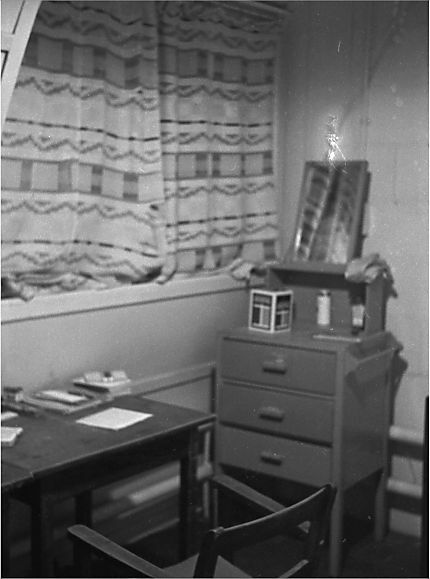 The luggage room in 34 was also the cleaner's place to store his brushes etc. I was mildly amused to hear 35 ended up as the chapel so my bed space at far left corner in end room was close to heaven. The rest of your diagram is as close as I think it can be, though doubt there would be urinals in Tomlinson huts. I recall shiny (polished) brown linoleum on the floors; light green coloured interiors. Gray patterned eiderdowns on the iron frame beds - hospital corners for the top sheet. Trying to recall the position of the (hot) water pipes! The plan looks familiar. Looking at the photos, the green paint extended from the floor to the height of the window sills - approx 3' 6". Above that I think the colour was brownish cream-white (but that was probably the veneer of muck!). I have two photographs: (1) Hut 26 door close-up of the door latch. 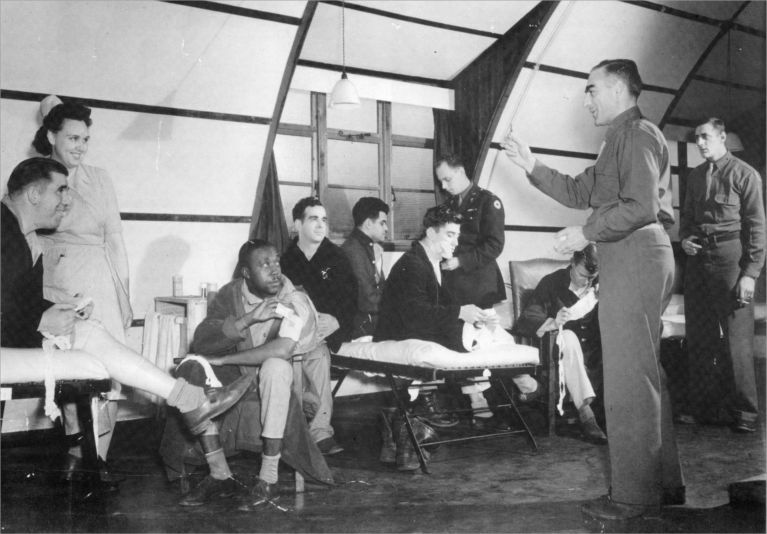 (2) Interior of Hut 26. However it was taken with a Brownie camera without flash! Please let me know if you would like to see them. An interesting project. The plan you sent looks good to me and I cannot add much. 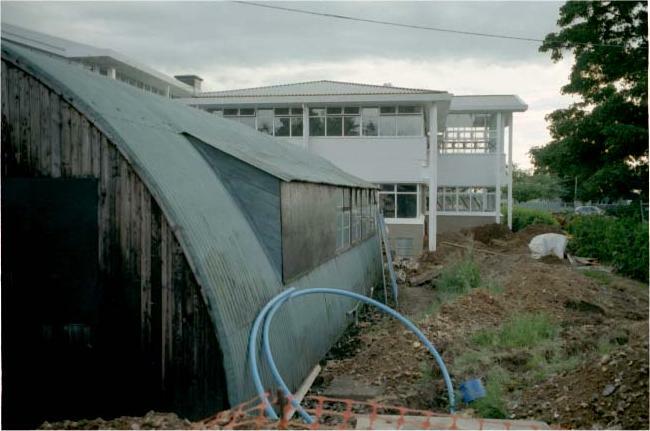 But I well remember the pair of heating pipes that ran down each side of the dormitory (and other huts too, I think). From memory the pipes were 4-5" diameter, one about 18" above the floor , the other about 30". If you got a bed next to the wall you could (and we did) tuck your top sheet and blankets around the pipes to create a very warm bed - the pipes were often almost too hot to touch? Will the model include a section of the Covered Way which connected most of the Nissen huts? The plan shows four staff rooms - I think in some dormitories a couple of these rooms were assigned to prefects - two beds per room - but I cannot remember any layout details. Looking forward to seeing photos of the model in due course. As regards the covered way, the envisaged end result is two adjacent huts joined by a section of enclosed covered way. One hut without top to show all the internal detail. Lord knows when it'll come to fruition, so don't hold your breath for a photo! 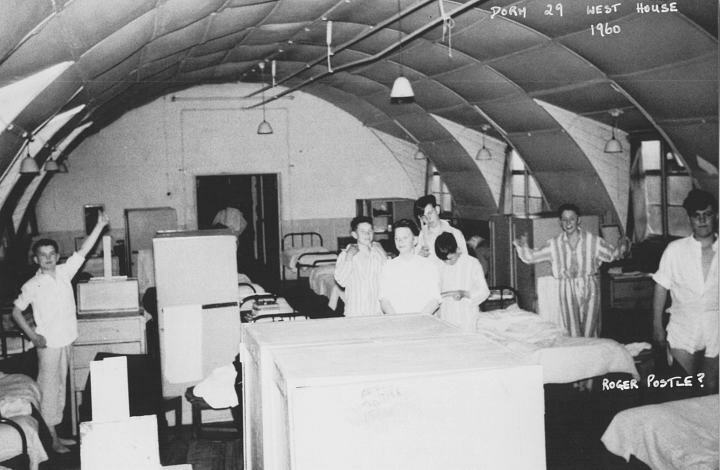 Dorm 18 in 1959/60. Beds pointing towards middle of room with locker and wardrobe separating each. Drying room. Door on other side. Wooden slatted construction to left of door with two levels. One about 3 feet of ground and other about 5. Think that the shoe room had metal cages for shoes and was smaller than shown. 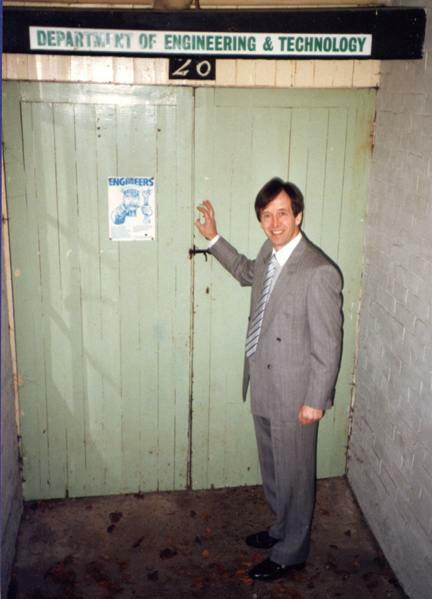 Luggage room had somewhere that you were supposed to store your “tuck” Always smelt of “time expired” apples! End room. Seven beds. Two on each side, two by door and one in middle at the end (Mine). Light switch for room on end wall to left of bed. Got a bit of slipper for fixing string to it so that it could be turned on and off from bed. Pull switches for other light in room. Wires running in pairs held in place with cleats. Most windows were wired opaque dimpled glass. 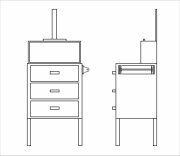 I have changed the drying room layout on the drawing; please let me know if it's correct. I'm now rather uncertain about the large pipe that crossed the corridor from the shoe room and entered the drying room through the aperture above the door - see the corridor photo (last one in the series above). You're not the first person to remark on the size of the shoe room and I'm wondering if this was another area where variations existed between different huts. Wasn't 18 one of the original girls' dorms? Maybe that has something to do with it. Hopefully someone'll be able to shed light eventually. If you have a moment to sketch the end-room layout, that'd be great (back of fag packet would be fine - I can even supply the fag packet!). There's a drawing of an end room from an earlier era at http://www.wcremembered.co.uk/gifs/29_end.gif . You said “fag packet” Well here it is! Dave G just turned over a time or two at that. Bless Him. I too seem to think that 18 was used by the girls until the first new block was built. I can remember that there were still girls in 14 at the time, 18 etc was being used by East Boys. I am a bit hazy about the position of lockers and wardrobes. But I am pretty sure that I had a locker to the side of my bed. The detail being gathered is of exceptional quality and should enable a model of adequate detail to be made. The suggested scale 1:24 delivering a model approx six feet long will offer the opportunity of more detail on such things as furniture thus cancelling any perceived notion that a large model is easier to manufacture than a model say three feet long. The current thinking that two models are required thus demonstrating the inner and outer detail will require a footprint of approximately 7’ x 3’. 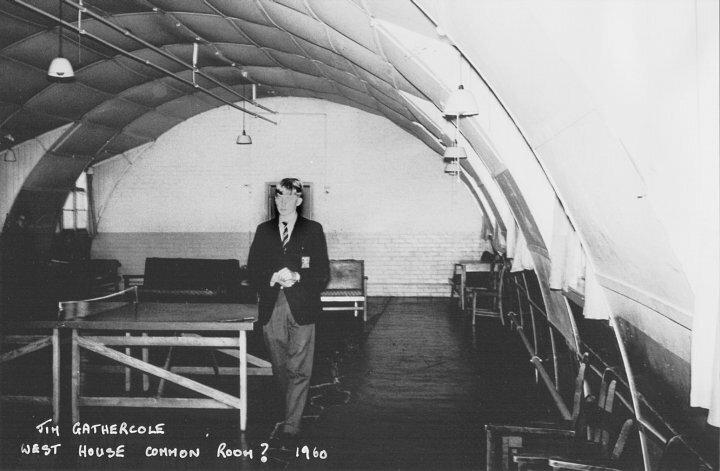 The College is offering a small room in the current Chapel Nissen Hut as an archive room. Confirmation that this model size is acceptable needs to be confirmed. This model offers an excellent opportunity for collaboration with the technical department of the College but should not mean an obligation for them to produce the model but rather involvement in any debate on modern manufacturing techniques utilised to do so. The College possesses Technology status and it would be in their interest to partake in such a project which demonstrates modern manufacturing, communication and project management techniques involving participants scattered in remote places. Perhaps we should invite them. You will gather from this that my view is that traditional modelling methods based on hand craft should only be utilised where modern techniques are deemed impractical or where both disciplines can be amalgamated. Modern techniques such as Chemical (photo) Etching; Spark Erosion (Wire or Sink); CNC machining etc I would assume can be resourced within our membership. The curved corrugated roof could be a challenge due to the thin section and am not sure if machining from solid as opposed to fabrication is the solution. Yes, it would be a good idea to involve the College, but the main problem for me is that I have neither the skills nor the spare time to take this project much further. As you'll recall, the idea came from Roger Garrard and I offered to 'advertise' for someone to take it on. In the event, I captured some details and knocked up a couple of drawings, but that represents only a tiny part of the total effort required. I do of course fully intend to keep accumulating and consolidating useful information in the way that has been done to date. First, a big "Thank You" to all who contributed, and Congratulations on the memory feats. The scale drawing was almost 100% accurate, apart from details only staff would know - the washbasin in the staff toilet was actually fixed to a low brick wall built against the outside wall, under a window, and the wall dividing the staff loo from the urinals actually finished in the middle of the next window, as in your drawing. 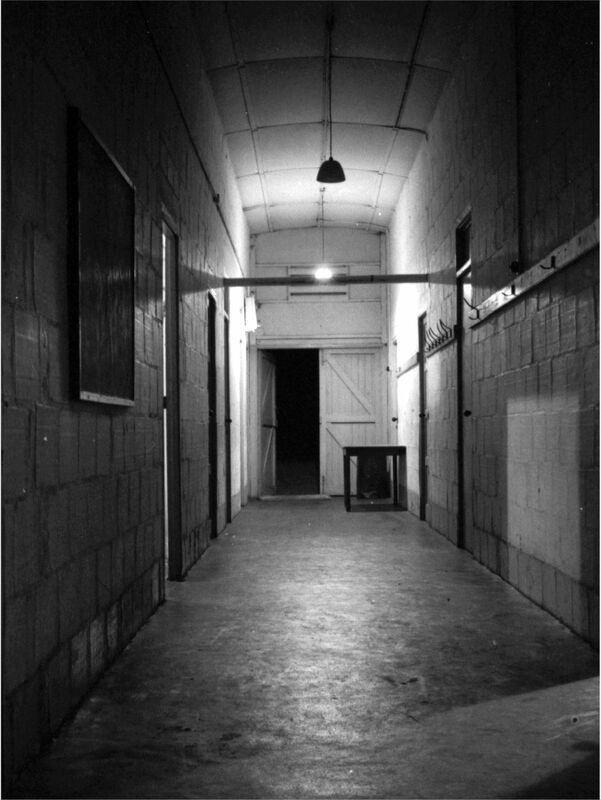 The doors into the staff accommodation nearest to the main dormitory were hinged as is shown, but were at the end farthest from the dorm, as was the door into the second room along, which enabled a bed to be put alongside that wall. Only the room on the far left in the drawing had its door in the middle of its wall, and was accordingly used as a sitting room/study. When two staff were lodged in a hut, one of them had the two rooms nearest the dorm, the other had the two further back. At this point I should explain that, during the period of maximum use of the huts, i.e. before Peel Hall was opened, there were eight on the boys' side and eight on the girls'. 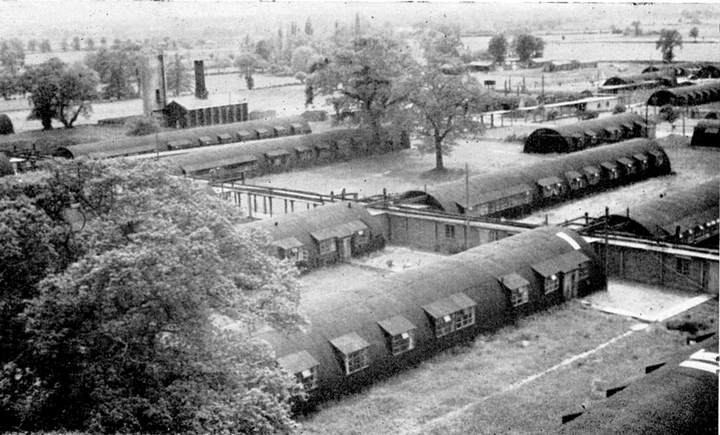 Starting from the top end of the boys (next to Hut 25, which was differently laid out) in the bricked-in part of the covered way there was Hut 26 facing towards the middle of the site, housing North House juniors (1sts, 2nds and 3rds) and opposite it was Hut 27 with North House seniors (4ths, 5ths, 6ths). South House occupied Huts 28 and 29 similarly, and East House Huts 30 and 31. This was where the bricked-in part finished, the next Hut being Butler Hall (33), with no hut opposite - site of the mixed (!) playground. Further along came Hut 32 for West House juniors and 35 (where I was for a few years) for West seniors. 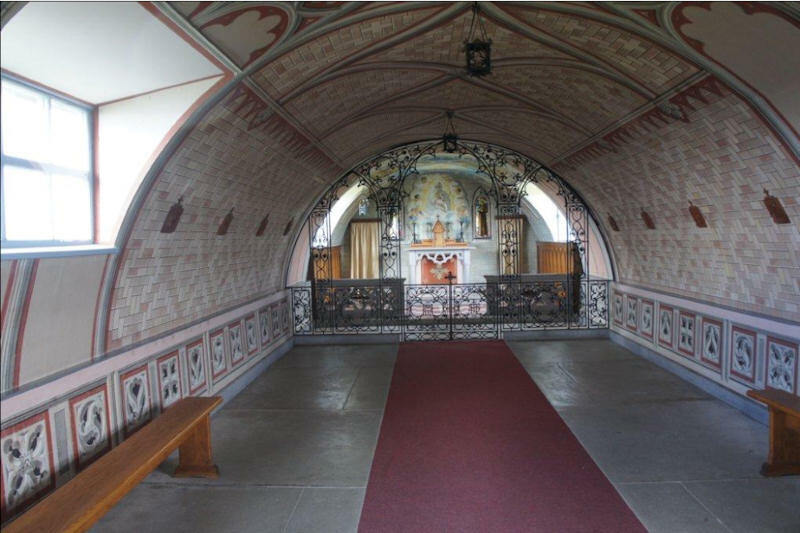 Hut 34, the other side of the transverse covered way from 32, was for some years used as a common room for seniors, then became an overflow, the common room being moved to the "clubhouse", which is where the memories of the "Breugel" print and the coke stoves originate. Keeping to the same system, North House girls occupied Huts 21 and 22, beside the grammar school classrooms, Hut 23 and 24, then came Tomlinson Hall (Hut 19), with Hut 20 opposite, used as classrooms and/or a store, then the bricked in corridor, with South in Huts 17 and 18, East in 15 and 16, West in 11 and 12, followed by Sick Bay. This sequence of numbering was interrupted by Hut 13, the Commercial girls' classrooms, and Hut 14, where they slept. All this is set out clearly in the plans of the site in the First Fifty Years book, but I mention the girls' huts numbering because none of the contributions on the web site came from old girls (I wonder why?) and the lay-out of the rooms was exactly the same. I know this because, once Peel and Lincoln were opened, many of the boys' huts were converted into classrooms, so East and West House boys moved over to the girls' side, and I can assure you that there were urinals there, which were now brought into use again. It was interesting to note the memories of the end rooms. People who mention them being used as common rooms, with makeshift table-tennis tables, and supper being served there, are thinking of the junior dorms. 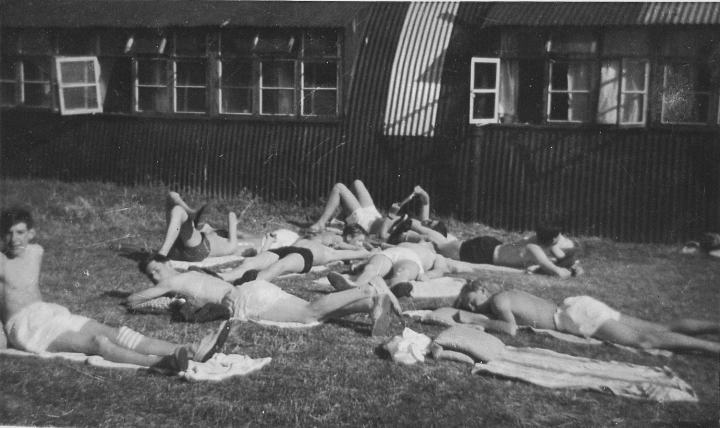 The seniors' only common room was either Hut 34 or the clubhouse (Hut 24 for the girls?). 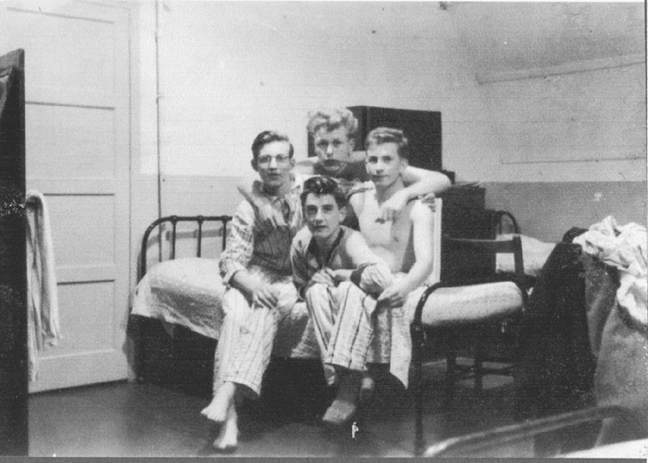 In the junior dorms, the house matron had two of the "side rooms" (as they were called) while the other two each housed two sixth form prefects. 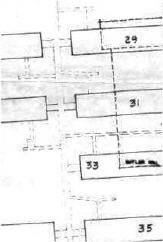 The other sixth formers were, as many people remembered, "planted" at strategic points in the big dormitory, which, as the drawing shows, had 28 beds (though I seem to remember having to squash in 32 beds at some point) with 8 beds in the end room. The double doors at the end of the hut were permanently blocked shut (there was no shortage of fire escape routes - the windows!). As far as I know the two pipes running along the ceiling were the return runs of the heating pipes (there used to be narrow pipes on the end walls running down from them at one end and up at the other). The wider pipe which ran through the shoe rooms and drying rooms was presumably for hot water, as it kept hot all summer. I like the comment about the "opaque prison windows". They were of wired glass, which let in light without allowing one to see details outside. Staff rooms had their main windows fitted with clear glass (i.e. not the top layer). 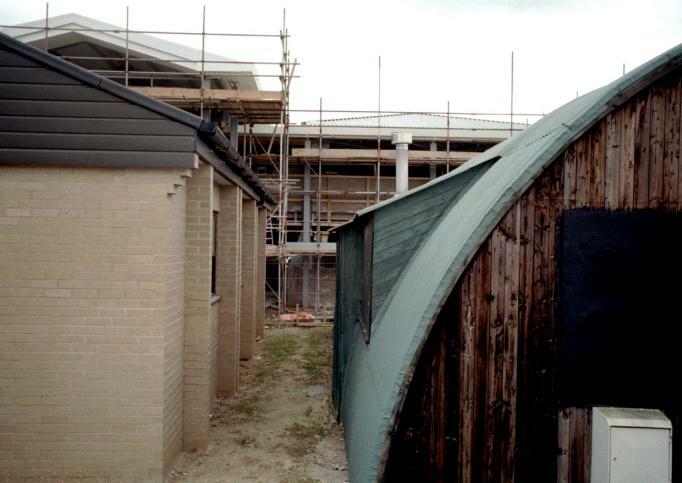 The comments about West House in Hut 29, and of Brian Williams of the languages staff, remind me that West moved back to that side of the campus after its spell in the former girls' dorms, three or four of the latter huts being cut in half to make way for Fry and Cavell Halls. 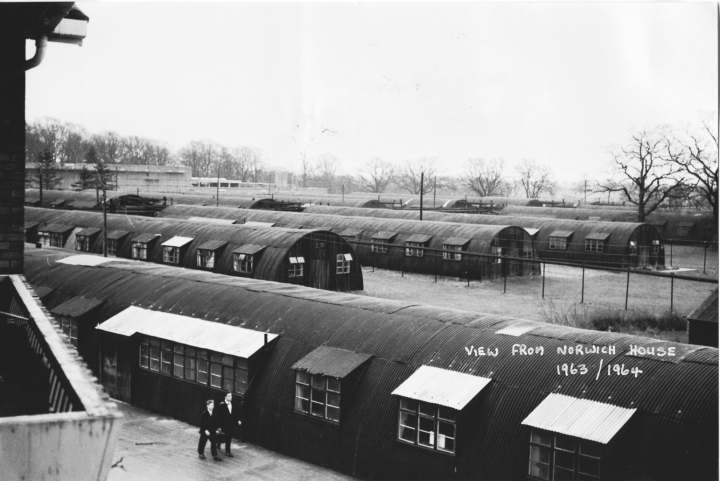 If two huts are to be featured in the eventual models, I suggest one is set out as they were for seniors, one as for juniors, with the end room as a common room, and the main entrances facing each other, as they formerly were, either side of the covered way. The plan has been revised in the light of Roger's valuable comments. 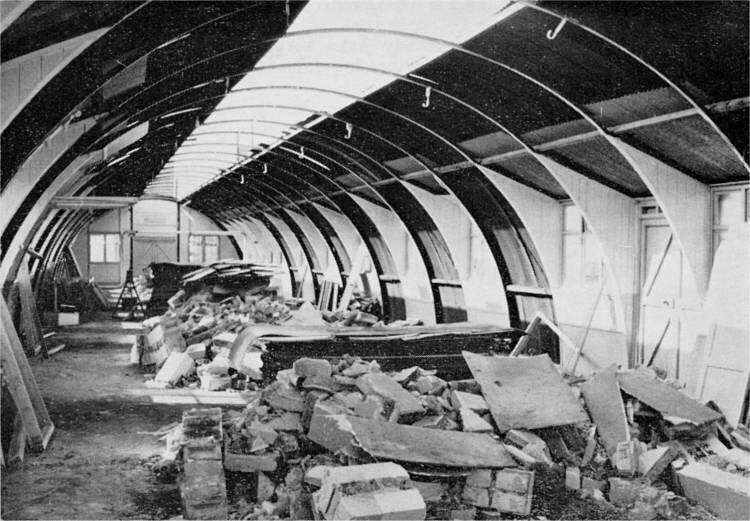 The article on the Nissen Hut model project was extremely interesting and I was amazed at how much everyone remembered about layout etc. from so long ago. However, I recall the beds in the girls' dorms being set out very differently to the ones shown. Two beds per section with a wardrobe and bedside cabinet each. The headboard (said loosely) of each bed leant up against the back of the wardrobe for the next section. I haven’t a scanner so can’t draw a picture. Beds were opposite to each other, as in I could sit and talk to the girl in my section and see her but we couldn’t see the girls in the next section due to the wardrobes. The opposite side of the room was slightly offset so there were never four beds close, so to speak. Girls liked their privacy I suppose. Also, I swear there were thirty two beds in my dorm (North house 1957/58). 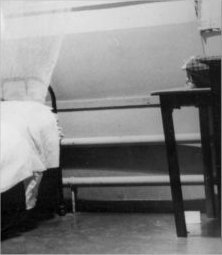 I can’t remember any bedside lamps or cords hanging anywhere, just the main overhead lights which matron turned on or off. Yes, all cupboards and drawers were in wartime green paint with dirty cream paint at the top of the walls, counter panes as suggested were faded navy and white and we had white/cream blankets with navy (or perhaps black) strips down the centre. The bed linen also had some marking on them I think. Fancy you mere males recalling the bed linen!!!! There certainly weren’t any soft eiderdowns as one person suggested, not in my time at least. Mattresses and pillows were all black and white striped ticking and very lumpy. The girls' dorms had wash basins in the bathrooms - I don’t recall a room with a row of wash basins, but yes there was a room with three or four toilet cubicles. I do however recall us having to share timed wash time while other girls bathed, again to a roster and strictly timed ... also a roster for hair washing. The shoe/boot room lockers were for your polish and brushes and second pair of black shoes. Remember the smell of that room …. whenever my husband cleans shoes I think of the WC shoe locker room … still. We had some flowery curtains in the common room of our hut. Miss Edwards was the matron so perhaps she had made them, but yes shiny brown linoleum on the floors, so cold (actually our RAF quarter many years later had the same horrible lino). I don’t recall table tennis tables except in the larger games room used only on Saturdays, if my memory serves me correctly, was it called Tomlinson Hall? Quite close to the lovely old gym with run-through showers. Miss Edwards definitely used one of the side rooms as a sitting room and another for a bedroom but I can’t say I remember the other rooms at all. My input has probably not been much help, but being as no other woman seems to have made any suggestions I thought I would give you my nine bobs-worth. I’m still amazed at mere males remembering décor, I certainly don’t recall all the technicalities such as piping, roofing etc., wasn’t it all just black horrible corrugated iron!!!? Perhaps some ladies will now write to contradict my recollections which would be terrific, the more input the more accurate the finished product will become, right? Good luck with the project, I can’t wait to see it once complete. That's a brilliant set of recollections Joan - very many thanks for taking the time to set them down in print. The layout sounds quite different to the boys' - a significant difference being that we boys had to share one wardrobe between two of us and you had a wardrobe EACH - must've been all those frocks and flouncy layered petticoats! I shall have to knock up a sketch so you can see if I've understood correctly. Given the different layout it's indeed likely that 32 beds would fit in rather than the 28 I've shown in the plan (another 2 on each side). It's a shame that no photos have come to light .... but I won't give up hope yet! Your memories of the shoe room revived a brain cell in which I recall using a wooden ruler as a shoe horn when my rapidly-growing adolescent feet exceeded my shoe size and I didn't want to have to ask Mum & Dad for a new pair before the end of the school year! What an exciting project! I can’t add much to what’s been said and there seems to be nothing I disagree with. If you really want to get down to small details don’t forget the toilet rolls with the words “Now wash your hands please” and “Medicated with Izal germicide”. also two web links to the story of how/why it was built. Certainly a bit more ornate than the WyCol Chapel!